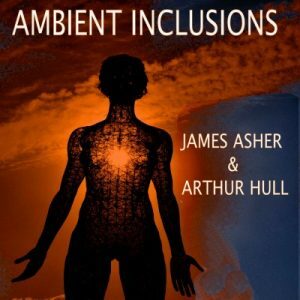 Arthur has now completed 7 recordings with James Asher. CD's here on the Asher's website. To sample the music and order the CD go here. Released in 2014 this CD is specifically designed for participants in drumcircles and drummers of all skill levels. Arthur Hull has written three books on drumcircle facilitation, and has been teaching this worldwide for many years. Using this experience he has designed these recordings to provide a basic platform, along with which drummers may listen and enjoy exploring and and developing their playing. 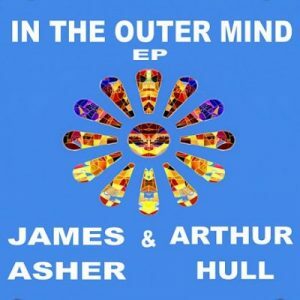 Released by James Asher and Arthur Hull in 2013, Outer Mind features 3 new tracks. First up is the title track, followed by Emerald Equinox and Meeting the Circle. These tracks resulted from the week Arthur spent with James at Starfield Studios in October. The mood is upbeat, and after the cinematic but enigmatic In the Outer mind track, we move on to the Irish folky flavour of Emerald Equinox. Finally Meeting the Circle is a tour de force in offering the first virtual drumcircle track created by Arthur and James. 23 drums and 13 percussion elements make up this superbly crafted percussive extravaganza. Biodegroovable EP released in 2013. James always looks forward to his annual writing session with Arthur Hull. Time was tight on this occasion, and yet somehow the music that evolved had a special chilled quality, that delighted Arthur and James. From the first track Misty Moors, where a hypnotic hangdrum phrase seems to draw in a whole mesmeric soundscape, delight followed on. Next up `Already There` – where the mood remained mellow and enjoyably relaxed. Slideways – the 3rd track – maintains an infectious groove whilst still laidback. And finally All for One combines the timeless expansive sound of the monochord with Mongolian vocals. Overall an exotic and beguiling experience. 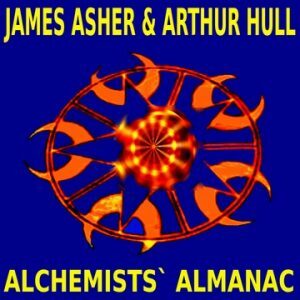 Alchemists' Almanac distills creative musical explorations by James Asher and Arthur Hull into a potent collection released in 2012. A broad palate of keyboard sounds are joined by hangdrum, vibedrum, hammered dulcimer, bazouki and violin. Ever playful and inventive, the tracks have a cinematically evocative quality in depicting a wide range of scenarios in a richly atmospheric way. 2008: Who’s Counting? 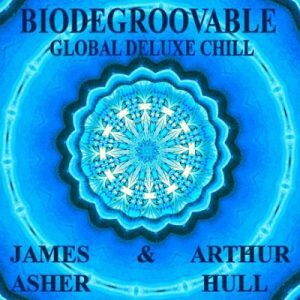 EP : Starfield has released a three track EP from James Asher and Arthur Hull. 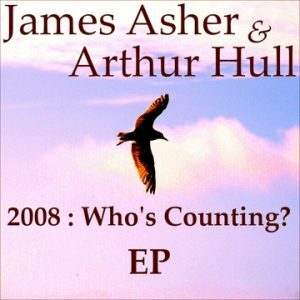 As part of his 2008 world tour, Arthur Hull spent a week in the studio with James Asher. Their annual meeting enjoys a rich and fertile exploration of music in the spirit of creativity, imagination and fun as two longstanding friends of the ‘percussionitis’ persuasion. Together they recorded the three tracks that feature on the 2008: Who’s Counting? EP: The title track is a musical adventure using found percussion, flute , harp and keyboards, which offers a humorous sweet and sour comment on the credit crunch and its origins, with guest appearance by its principle protagonist – Mr Longface. ‘Goosefoot’ is a multi layered instrumental, based on a complex 6/8 rhythm, charting the progress of a shifting dynamic where dark elements transform to becoming lighter and brighter. And ‘Arcana’ is a call and response duet between two taiko drums, heralding a dramatic depiction of of a celtic battlefield, where a feeling of triumph accompanies the sense of rebirth that emerges from this transformational scenario. This powerful soundscape features the fluent and exuberant fiddle of Tom Fairbairn. Both being drummers, rhythm is a central key to writing process, and yet within that there is always a broad and unconstrained approach to the creative process – which is part of what continues to give the music a fresh and original quality. 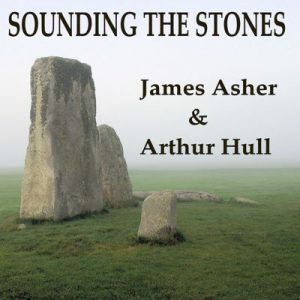 Sounding the Stones 2004. 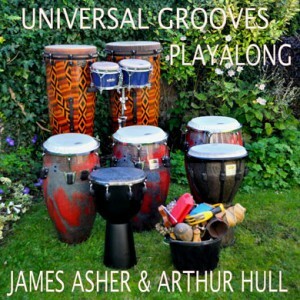 World beat artist James Asher joins forces with Arthur Hull, the celebrated American drum circle facilitator and drummer. Following a visit to the ancient site of Stonehenge, the sense of power and mystery of the stones sparked off their creative music. Sounding the Stones goes beyond your normal drum based music. Harp, keyboards, hammered dulcimer add depth and evoke rewardingly meditative vistas.